Assortment of masking tape comes in vivid colors for decorating or color-coding. Assorted colors include red, black, blue, green, yellow, orange, white and pink. 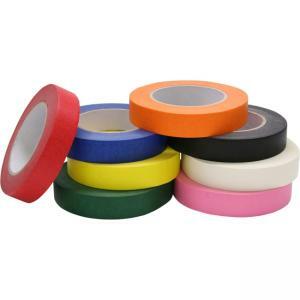 Tape can be stored on the Chenille-Kraft Wooden Tape Stand (sold separately) that holds up to eight rolls of making tape.